Stay safe everyone! Here in upstate NY we're seeing some of the effects, but nothing out of the ordinary so far. It was scary, but I had few problems. Just tree damage and local flooding. Could have been Much worse! The Cows Protected Me!! Everyone Do me a favor and post if you can. I worry. I made it through OK. We never lost power here in my neighborhood in NY City. It was mostly over by the time I got offline last night around 10:30pm, and the wind gusts were pretty tame by then, and it had stopped raining. So far today I haven't been out, but it was just raining lightly earlier, and now it looks as though the rain has stopped. From what I've seen online there was major flooding across the shoreline, and only 2 places where there were blackouts, owing to an explosion in a substation. Upstate / Central NY through to the Southern Tier appear to have been spared- some decent wind, but not bad at all. The scenes and reports coming out of CNN about NYC, Delaware, NJ, WV, Virginia, and other locations are absolutely mind boggling though. Good to hear from Miss B any word on Misty? Hitting the Maritimes now. We're getting a scary thunderstorm quite a bit worse than our rare summer ones. Hope everyone to our south is coping okay. I hope Misty Whisky is safe; I'm pretty sure she's on Long Island and works in the City. Family member from the Nassau/Suffolk border of LI called to tell me power is back on at home so I'm hoping its a sign they're turning the corner. thank you, now I'll be able to sleep tonight. Stay safe in the mountains. Still missing some folks. I hope all are well and were prepared when the Storm came in. 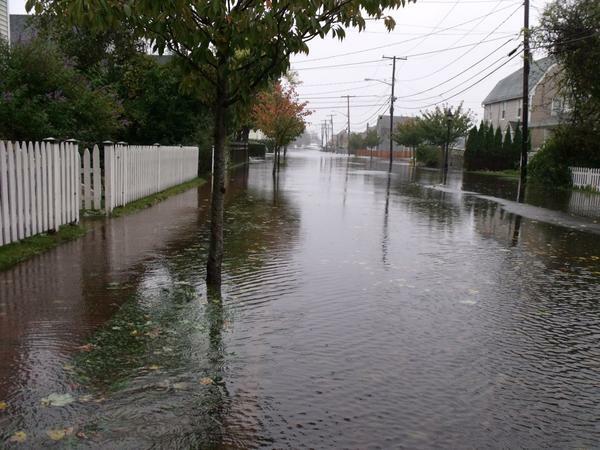 Just a quick report from Bayshore, Long Island... Storm was not very impressive, I've been in worse weather at sea in a boat.... But even though the storm was downgraded by the time it made landfall, everything here is a mess. 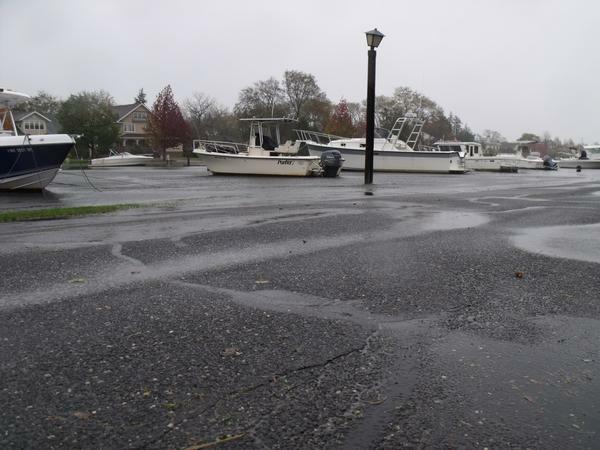 The waterfront area of my town was flooded, some boats washed ashore, docks swept away and a bunch of homes were severely damaged... I spent most of the day of the hurricane outside, but it was really not so bad in regards to the wind... 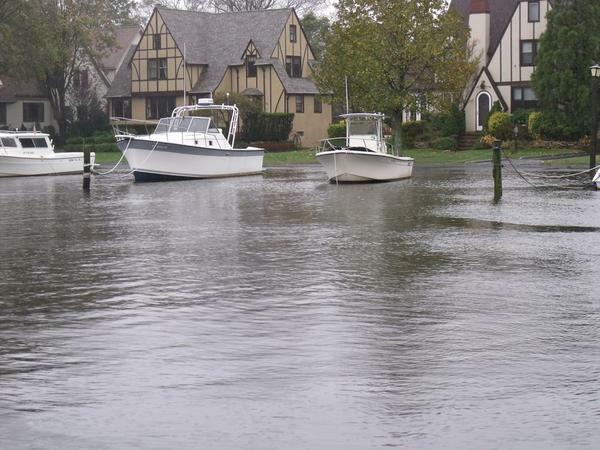 The real problems for Long Island was mostly from storm surge and strong wind gusts... I've been driving around a lot and checking out the damage... 90% of my town appears to be without power, but from what I've seen, it looks like 75% of the damages could have been avoided with proper maintanance and better planning. I probably will not have power for another week, all the gas stations are closed or running out of fuel so pretty soon it won't even matter if you have a generator or not, you will be in the dark like everyone else... I hope the rest of you came through this okay... I'll try and post some of my pix from the storm next time I'm near a computer attached a working Internet connection. Thanks for checking in and the Info. One less to worry over. Fingers crossed for the others. Just to add a note... Don't expect to hear from anyone on Long Island for quite some time... Most of the island is without power or a complete wreck... Not much is being said about it on the news, as most of the focus is on NYC and the jersey shore. Hopefully misty whiskey is okay, I believe she too lives near the water ( based on some pictures she posted last year during Hurricane Irene ). The best expectations for power resumption is at least 10 days or longer... (If anyone from LIPA's upper management is reading this... Thanks for "learning from Irene"!... Oh, and !&[email protected]/$& you... Ok?). Well, good luck to misty and all of you. Much of Long Island is still without power and there is virtually no gasoline available anywhere... one of bad features of living on an island, however long it may be, there really are only a few ways in, and those run through an even smaller island. I hope Misty and the other fellow NY/NJ/CT/PA/VA forumites effected by the storm are safe and warm... the temperature will be dropping soon and hopefully people will get power back before then. Here are some pix I took the day of the storm at low tide, and the last three where the next morning as the tide was going out. 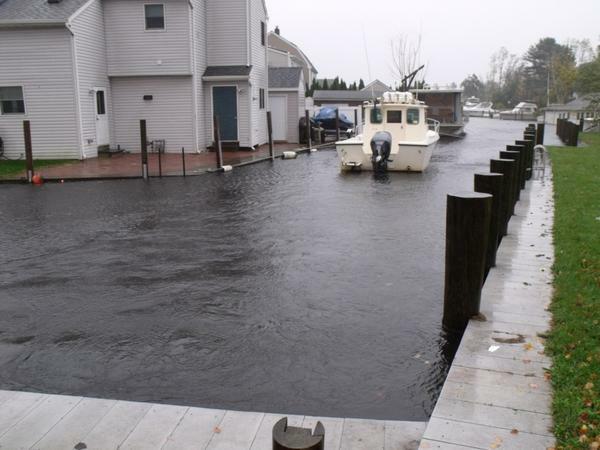 Normally the water in these pictures is 6-8 ft below the level in the pictures... the one with the boats in front of the homes is actually a street next to a canal... the boats are floating over the street. Glad to hear you 've got the power back lordvicore,wow those are amazeing pictures ......hopeing you are feeling better soon!! Thanks for updating us. Hurricanes are not good experiences. My goats are safe and dry in their Goat Shack here in central Texas. Thanks very much for the update, I know you must have gone above and beyond and I'm grateful. Missing Misty, uncertainty is a real joyless gorilla to carry round. I wish I had the ability to create the visuals (no render that would take under a week to set up would suffice) that I just had for "carrying around a joyless gorilla"... But lets just say he is very large, sad and wearing a diaper. 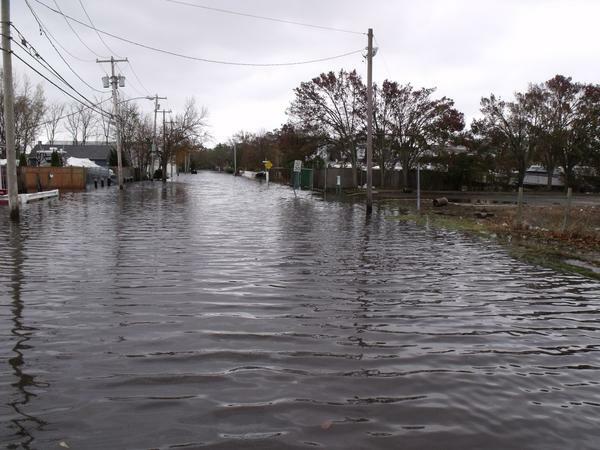 Things are getting somewhat better in the more inland areas of LI... more towns are getting power restored and more shelters and food distribution/assistance areas have been set up. Fuel distribution is a total travesty though, no one was prepare or had a plan of how to get fuel here if the NYC bridges and tunnels were closed or damaged. Basically you'll have to wait hours to get any gas... many gas stations have either police or national guard keeping order and even if you wait on line there is no guarantee that they have gas when your turn comes... first responders are running out of gas in some areas. This has become a very stupid situation, especially since there are many gas stations without power that HAVE gas but can not pump it... I have seen no plan on getting generators set up or emergency pumps set up to use that gas. The plan so far is "it will get better in a few more days". Tell that to someone with no lights or heat. There were so many lessons to have been learned from Katrina that went ignored. Very sad and annoying. One thing I learned here is, there were a lot of plans... yes, some were actually good... but while someone had there plan on pages 5 and 6 and the other guy had his plan on pages 8 and 9, there was no page 7 where they overlapped and everyone knew what to do if the other plan started started to run rough. If you live in a coastal area, or any area prone to some sort of natural disaster, have a plan on what to do... not just during the emergency, but in the days following... Sometimes the disasters are not that obvious... you may not get a hurricane or an earthquake, but you might get that "once in a hundred years" ice storm that takes out all the power, drought induced forest fires, heavy rains that cause landslides that haven't really been seen in decades or even tornados that are not common for your area... many places that people now live were sparsely populated a generation ago and few people are aware of what can happen or has happened back then... which does not mean it won't happen again, if not worse than the last time. Don't get caught unaware. Look into you area's past and what could be a problem for you... I'm not talking preparing for a Zombie Apocalypse, but what you'll do if your area has no basic services for a week or two... don't ever expect that someone else did what they were supposed to or had a plan in place... when it is dark and cold "we did not foresee this sort of event" is hardly consolation. What will you do with your garbage? Where will you do if the water is not working... not just drinking water, where will you go to bathroom? What will you do if you have to go to shelter? Will they allow you to take Mr Mittens or your 20 ft python?... look into emergency animal shelters too... before hand, and also know if they have a plan that extends beyond a few days... have an idea where disaster zones extend and make plans where you can find supplies like gas and food even in "small emergencies". I'm surprised that so few people realized that all the gas we get on long island must first come through NYC and if the bridges and tunnels were out that after a few days we would be screwed royally... I'm talking on the level of town officials. Don't expect better where you live... do your best to take care of yourself and your loved ones. It never hurts to have a bunch of camping supplies around "just in case" or have a place to keep your valuables and irreplaceables safe and dry. You may not be able to carry your family photos and your auxiliary hard drive with you when you have to flee your home in a flood... but if you secured them in a heavy duty 18 gallon storage container sealed with a layer of QUALITY duct tape, even though you may have lost the carpeting and furniture, at least you'll have your family photos and valuable data. By the way... I actually tested it and a fully loaded 18 gallon HEAVY DUTY storage container, competently sealed in a layer of QUALITY duct tape can be submerged under six feet of water for a week without leaking. There are many things you can do to be prepared... see what is appropriate for your area and take steps in advance to be safe and to keep your life running as smoothly as possible. Just be prepared and never take anything for granted. Here in my part of WV, we didn't have much in the way of wind and definitely no storm surge to deal with...but we had snow. Lots of heavy, wet snow (I had about 26"). You can't go more than 30 ft without encountering snapped tree limbs. There are areas nearby that got well over 3 ft (I've heard some local reports of 5 ft in the more mountainous areas). There are still between 50,000 and 100,000++ people without power. I was without power, phone, internet, heat (sort of...) for 108 hrs, and there are areas where the best estimate for the power coming back on is Friday, November 9th. In some of the more isolated areas the National Guard was doing air drops to get supplies to people. I don't know where Misty lives, but I have a friend all the way out in Suffolk County (but not near the shore) who only lost power for about 24 hours. I had spoken to her around 4:30pm on Monday (during the storm), but couldn't reach her at all the next day. I finally spoke to her on Wednesday, but an online map I was looking at (don't recall the link or I would post it) that showed all the areas in both Nassau and Suffolk Counties that had power outages. I do know the LIRR only has 4 main branches running again, so commuters who use the other smaller branches are still out of luck because that service is still suspended. I also spoke to a friend who works at my old firm in downtown Manhattan, and the building is still closed, so they will be reporting to work tomorrow (after a week off) at temporary offices in midtown for the duration. 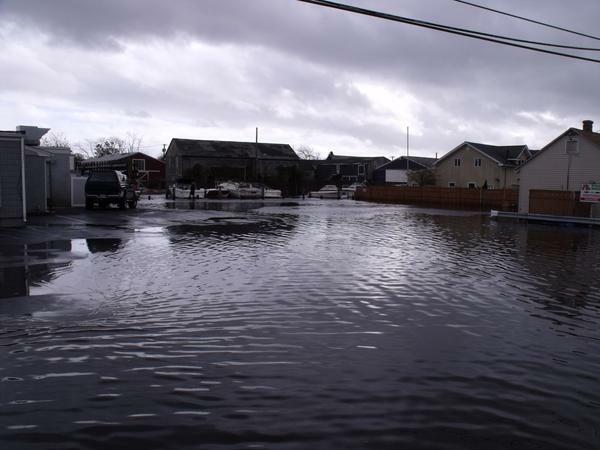 Also there were 80-100 homes in Breezy Point on the Rockaways Peninsula adjacent to the southern shore of Queens and Brooklyn Counties within the city limits, because the firefighters couldn't get there to put the fires out with all the flooding in the streets. ...Misty, if you are OK please chime in. OK, if she's in Brookhaven, that's right on the shoreline, just across the bay from Fire Island (which was totally evaced by Sunday night), so it's possible that Brookhaven and the communities just east and west of her were also evaced. She may not even be home, and if she works in Manhattan and needs to take the LIRR, she may not even have a means of transportation in to her office whether or not it's open. 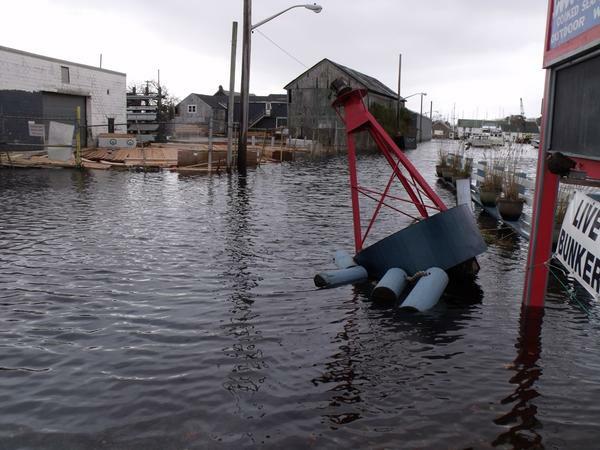 If Misty lives in Patchogue, Bellport, East Moriches, Shirley, Bayport or Mastic, she may be out of power for a while longer... these are some of the South Shore villages that received storm surge damage as well as wind damage. If she lives inland more, she is probably better off and only dealing with power outages and wind damage. North Shore towns are having issues right now getting power restored because it seems a lot of trees came down there. I would guess that she probably does not live on any of the barrier islands like Fire Island, since most people who do are fairly wealthy or have decided to make it their lifestyle choice by spending their life savings to buy a house the size of a garden shed, located on a windy sandbar... besides, you said she works in NYC and I never heard her mention owning a hovercraft (otherwise it would take like 5 hours one way to get to NYC). The power situation here is still a mess, there is a strip of houses a 1/4 of a mile from me that have no power... even though everyone else for a 1/2 mile around does, my in-laws house which is only 3 miles away is also part of a patch of darkness too... and there are some houses down by the water that LIPA, will not turn the power on for because they feel to do so is unsafe... I'm pretty sure Brookhaven is going through something similar. I feel bad, being so near to where Misty probably lives and not being able give her shout to see how she is doing... but, for that would be weird and stalkerish to track her down to see if she is okay. Well, I hope she is okay. Edited to add- I just came back from a short foray outdoors.... Dang! It has gotten cold in the last few hours! It will probably approach freezing in this area tonight. To make matters worse they are predicting another Noreaster for Wednesday, with heavy rain and winds of around 50 mph... the power company LIPA is saying to expect more outages... YAY! I hope Misty has a nice bonfire going! It took more than a week for everyone to surface after the fires here a few years ago, people get scattered and communications stop working, the emergency services people have a lot on their hands and it takes a while for the Red Cross to do their thing. Must be a great many people affected by Sandy, my heart goes out but until you hear from friends and loved ones the heart stays in mouth a little as well.